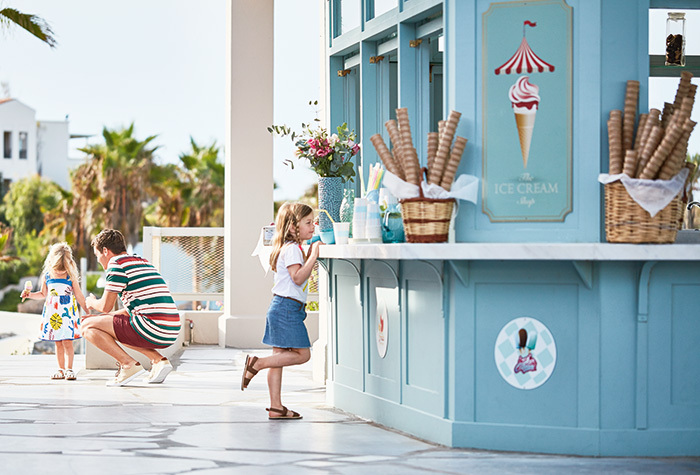 At Olympia Riviera (at the area of the Sunset Restaurant) and Olympia Oasis, from morning to evening, mini buffets offer a constant supply of fresh, tempting food & drinks exclusively for kids. From 11:00 to 17:00 kids (from 3 ‐ 12 years old) can eat as much, and as often, as they like and it’s all free. 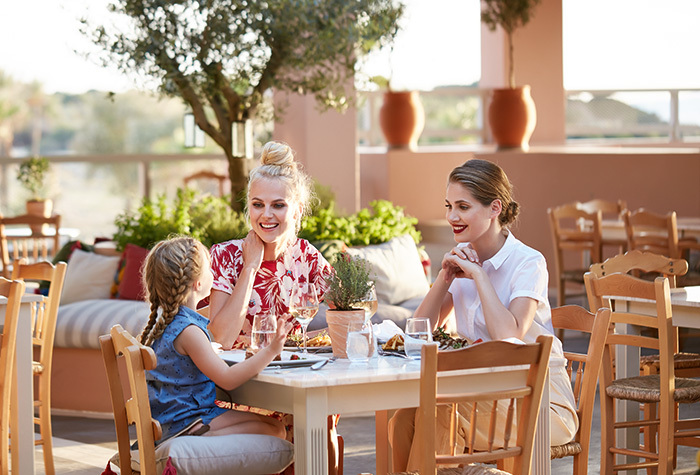 Kids love the choice and freedom whilst parents will be even happier to know that all menus, created by the Grecotel chefs, have been checked by a qualified dietician. - Hot dishes include: Soups, assorted vegetables & potatoes, variety of meats & poultry, fish, pizza, pasta, homemade beef burgers. Kids’ menus are available at a la carte restaurants (free up to 6 years old). The menus may vary according to season and number of children. 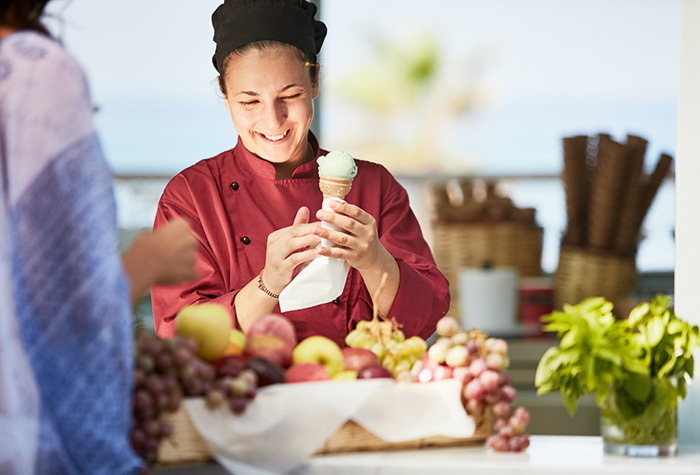 Designed in conjunction by our chefs & dietician to tempt all juniors whilst making sure they get all the nutrients they need for an active holiday. Special children menus are available in a la carte restaurants (free up to 6 years old). The resort stocks international brands of baby food. Our staff is happy to lend a hand with warming baby bottles or baby food. Pure, simple ingredients make the best food in the most space-age kitchen in Greece! 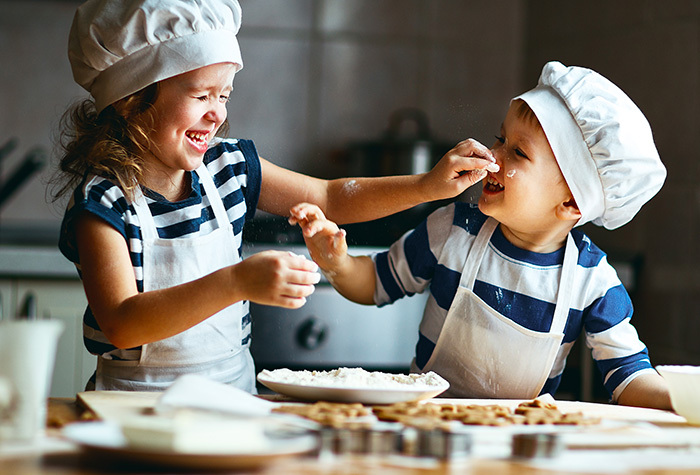 Kids can join the Grecoland cookery lessons where they learn simple recipes based on the healthy Cretan Diet are presented by gourmet experts, like a game.